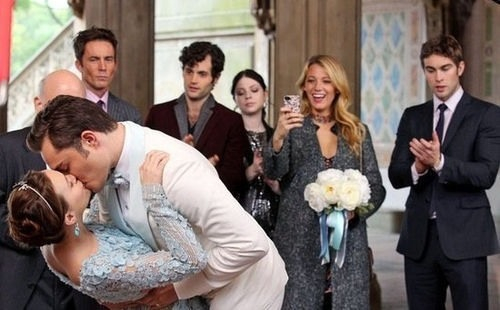 Okay, so I am pretty much sure that half of the world (including myself) is mourning the grand finale of Gossip Girl- I mean, how could you not when you've been addicted to Chuck & Blair's never-ending love story for 6 years?! I am so happy that it ended the way it did, including the hour-long interviews with the producers and cast before the show. I will most definitely miss the fashion, the idea of getting out of my reality for a short while on Monday nights. 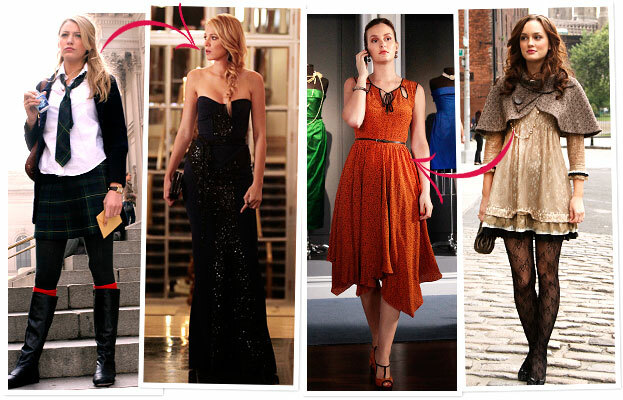 I've always said I would be very upset if I wasn't truly shocked to find out who Gossip Girl really was, but I have got to say that it kind of came out of nowhere! For those of you who have not watched it, I will not spoil it, but those who did..OMG! Can you believe the outcome of everything?! I swear I almost cried, but I kept it together..for now. Anyway, here are a few GG moments that I will never forget. What was your favorite part? What did you not like from the final episode?? 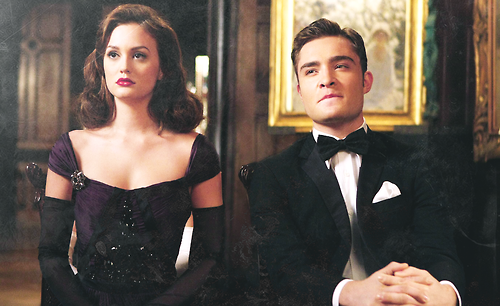 Okay, quiero pensar que medio mundo (yo incluida) esta destrozado por el final de Gossip Girl hace unas horas, pero como es posible NO sentirse asi cuando e estado adicta a la relacion de Chuck y Blair por 6 años?! Estoy feliz de que termino como termino, y mas porque antes de que dieran el ultimo episodio, pasaron entrevistas con los productores y todos los actores. Creo que lo que mas extrañare sera la moda, la ropa, los zapatos, y todo lo que tiene que ver con el estilo del programa. Siempre me gustaba tener esa hora los Lunes por la noche en la que me olvidava de mi propia vida y me perdia en el mundo de GG. Tambien dije que estaria enojada si la persona que en verdad se revelaria como Gossip Girl no me sorprenderia, pero no lo fue asi. Casi llore, pero para los que no lo an visto, no dire nada! :) Y si si lo viste, que parte fue tu favorita?